It shows that this title had many issues leading up to release and it even says about how many of the employees had mental health issues as well which is terrible. RIP Bioware just like all of the many beloved studios and teams destroyed by EA such as Visceral Games, Maxis, Westwood Studios, Virgin Interactive North America, Mythic, etc. 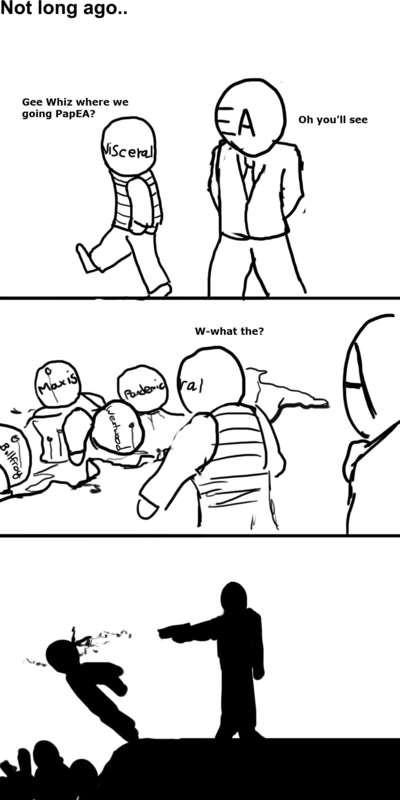 LOL, so true to what happens to the many EA studios and teams! Long hours are nothing new, & other teams have used EA's engine to make good games. Sounds like the game went through too many managers, & that none of those managers had a clear idea of what sort of game they wanted. Maxis was in trouble when EA bought them, & they lasted a long time under EA's rule. Bullfrog was broken up after their production head left, but most of their employees kept their jobs; they were just moved to different teams. It is sad to loose a team which made good games, but would they have survived without EA? If they were not profitable in a large company, could they have been as an independent? If EA didn't shut down poorly performing units the company would become the next Infogrames. pacman000 wrote: Long hours are nothing new, & other teams have used EA's engine to make good games. So sad bur true for EA being compared to Infogrames. And it true the management for Anthem was a mess.